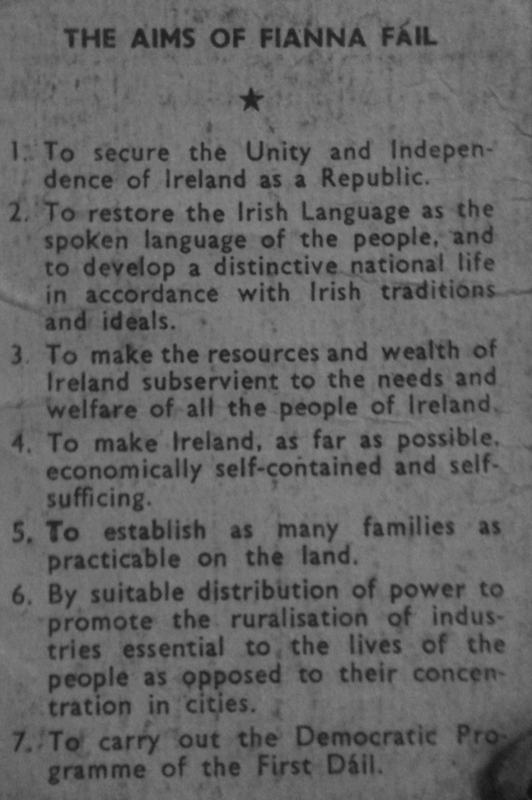 From a 1978 Membership booklet, “The Aims of Fianna Fail”. 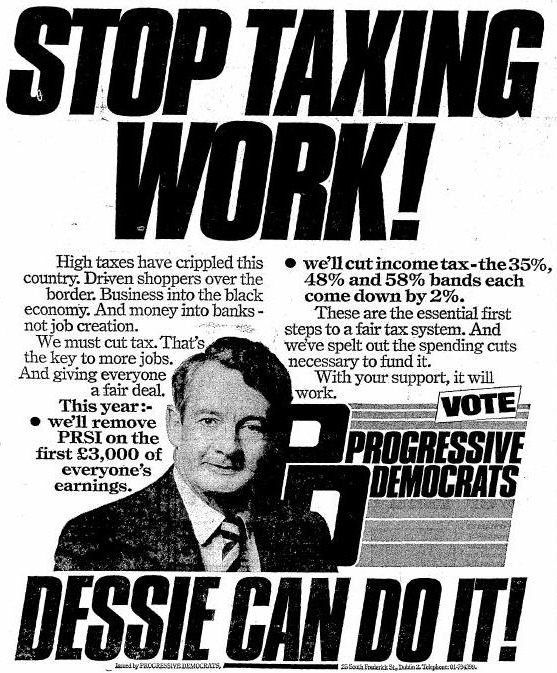 From the 1987 General Election, “Stop Taxing Work” from the Dessie O’Malley led Progressive Democrats . 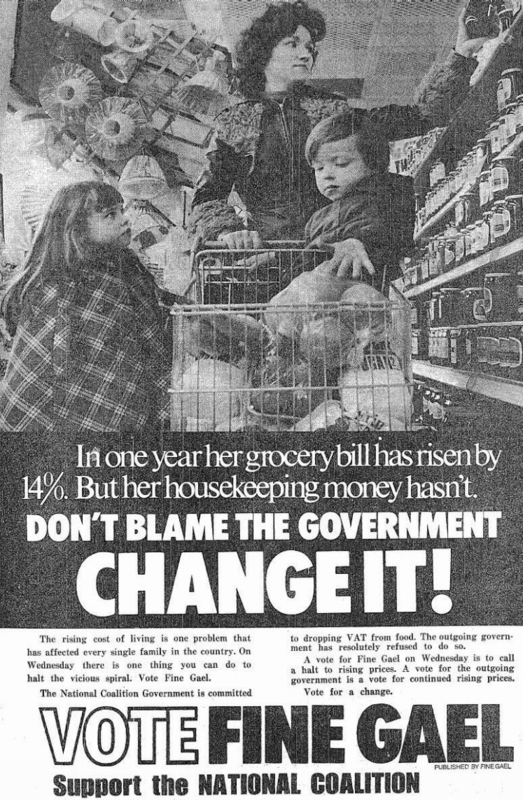 From the 1973 General Election an Ad from Fine Gael “In one year her grocery bill has risen 14%. But her housekeeping money hasn’t”. 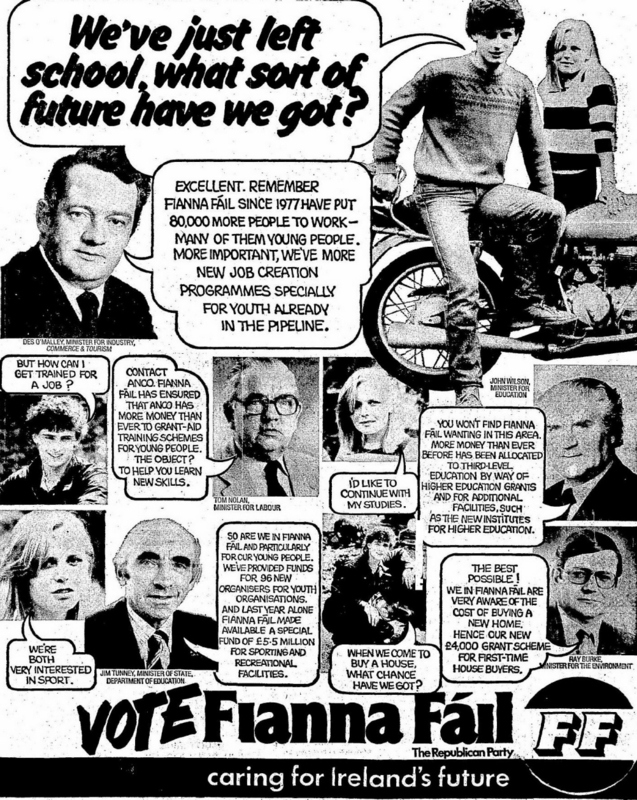 From 1981 an attempt by Fianna Fail to attract the Youth Vote. I love the young man asking “When we come to buy a house what chance have we got?” only to be answered by none other than Ray Burke , who was an expert in the matter of housing and planning. 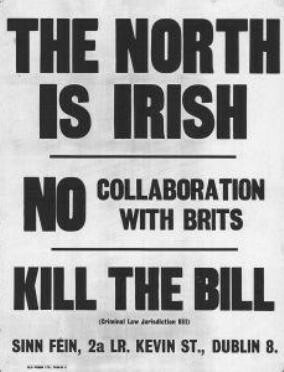 A bunch of six Republican posters, some for the IRA. 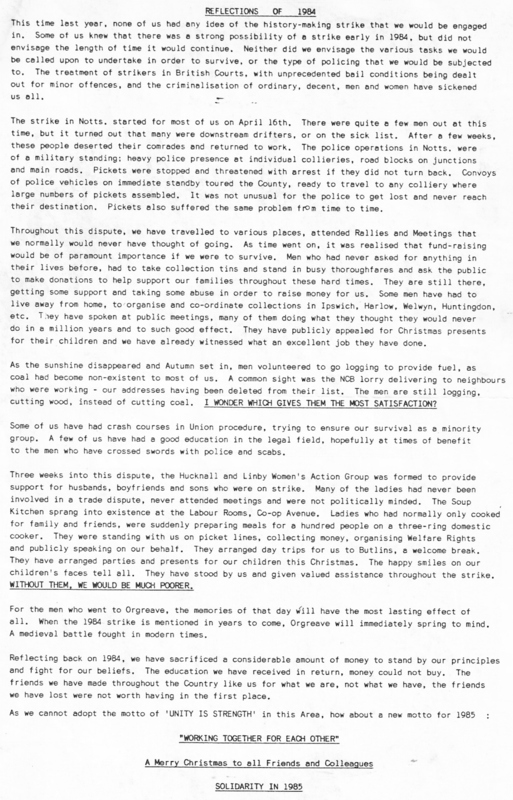 From the 1994 European Elections a leaflet for Fianna Fail Dublin candidates Olive Braiden, Niall Andrews and John Stafford. Andrews was elected.